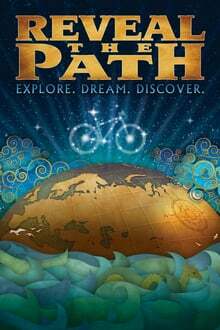 Reveal the Path is a genre-defying adventure film that contemplates what it means to live an inspired life using the bicycle as a mechanism to explore, dream and discover. Regions explored include Scotlands lush valleys, Europes snow capped mountains, Moroccos high desert landscapes, Nepals rural countryside and Alaskas rugged coastal beaches. Ride along and get lost in the wonders of the world Meet the locals living modest yet seemingly fulfilling lives, leading us to question what it means to live an inspired life however humble or extravagant. Filmed across four continents and featuring Tour Divide race legends, Matthew Lee & Kurt Refsnider, this immersive film is sure to ignite the dream in you. Join in as the creators of Ride the Divide take you on an adventure that will leave you with an eager desire to chart your own course to far away lands or simply to discover with eyes wide open whats right around the bend.